It’s hard to be “telling it like it is” when clearly no one cares what you have to say. That’s precisely the lesson Gov. Chris Christie learned this summer. It wasn’t supposed to be this way. Four years ago, Gov. 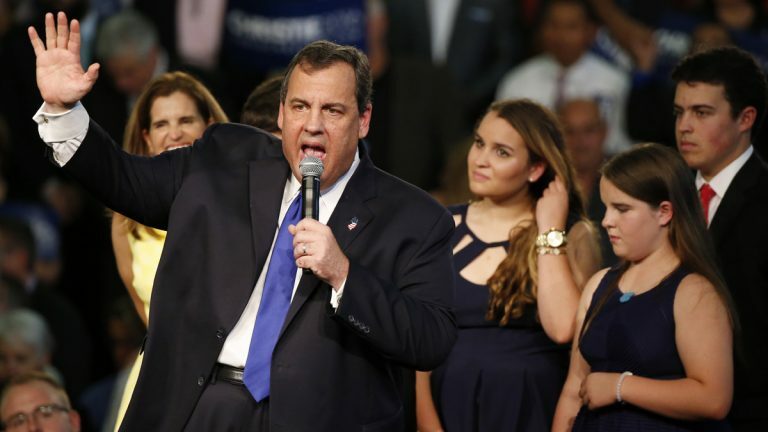 Christie was basking in the limelight and pushing away big name donors from Wall Street to Iowa who journeyed to New Jersey on bended knee, begging him to jump into the presidential race. Flash forward to today. The scantest of media contingents trek to his events. Gov. Christie didn’t make the Koch brothers’ five-candidate list and barely made the first GOP debate by the hair of his chinny chinny chin. After squeaking onto the stage, it became painfully clear that Fox News didn’t give a flying fig he was even there. Gov. Christie clocked an anemic six minutes of airtime, logging merely four questions – the first being a full-frontal assault on his failed fiscal gubernatorial record. Other times, moderators used him as an angry wind-up toy for split screen slap-fights with Rand Paul and Mike Huckabee. Now, Gov. Christie is in peril of not even making the next debate. CNN’s latest national polling has him outside the top 10 looking in. If I declared for the GOP nomination this afternoon, we’d literally be tied within the margin-of-error. It’s been over two months since Gov. Christie entered the race – not with a bang, as was long the plan, but with a whimper. When Jeb Bush announced his candidacy, he immediately jumped 6 percent. Donald Trump spiked 11 percent. Gov. Christie slid from 4 percent to a mere 2 percent. In Iowa, he’s dropped down from a lackluster 5 percent in the spring to a near-non-existent 1 percent. Gov. Christie even fell to tenth-place in New Hampshire, where he’s all but established residency with 20 visits since 2013. Clearly, every single nomination path Gov. Christie thought he’d have to himself has been closed off worse than access roads to the George Washington Bridge. Gov. Christie’s solitary pitch was as the sole viable option who’d stand a chance in a general election. But this rationale only worked compared with an uninspiring 2012 field. Today, his opponents trump every advantage Gov. Christie thought he had. Twice elected governor of America’s largest swing state, Bush’s family dynasty enjoys deeper ties to the identical money men Christie was banking on. Normally, with so many snowbirds and retirees, a Northeastern governor could fare well in the Sunshine State. Facing Bush – and Florida Sen. Marco Rubio – Gov. Christie has no shot. Gov. Christie believed he had a lock as a fresh voice for a bright GOP wave. However, Sen. Rubio – without speaking a single word – stands for a new generation by virtue of his life story as the son of immigrants. Ohio Gov. John Kasich is the sitting executive – of a swing state – who balanced the budget and presides over a diversified economy on the mend. And as a blue state Republican who cut pensions and rammed through union-busting right-to-work legislation, Wisconsin Gov. Scott Walker has Gov. Christie outflanked on using workers as piñatas. Truly “telling it like it is” in New Jersey would mean ticking off the litany of Gov. Christie’s abject failures over the past half-decade: a record-breaking nine credit downgrades on his watch; leading the nation in foreclosures, while the rest of America was on the upswing; consistently lagging the region and country on joblessness; ignoring crumbling rail and road infrastructure, putting not just commute times, but lives in jeopardy. It’s been an absolute mess. With no accomplishments, Gov. Christie can only cling to a personality-driven campaign. Even here, he trails Trump as the unhinged guy who spouts crazy stuff. And there’s only room for one delusional, misogynistic, bombastic carnival barker with an inflated sense of self who helped usher in dark days for Atlantic City. When it comes to pulling the trigger on an electoral run – especially for “Leader of The Free World” – it’s all about timing. Gov. Christie is four years too late and already quite a few dollars short. People simply don’t like or respect him. If this governor was truly “telling it like it is,” he’d admit he has no chance. Christie only rationale for running is enjoying the travel and perks…and it’s a heckuva lot better than staying home to deal with the mess he’s created. This op-ed ran previously in the Star-Ledger. Joshua Henne is president of the political consulting firm White Horse Strategies.